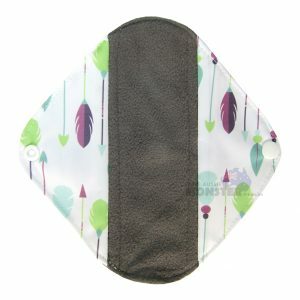 This multipurpose 3 in 1 change mat arrow design allows you change bub and keep their hands clean and out of the messy nappy. 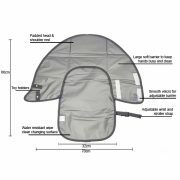 The change mat features a soft and easy to clean barrier that folds up in front of bub to block their hands from going south! The barrier also features clips to hold toys. 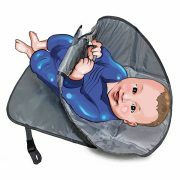 This is a great place to keep special toys just for the change mat to help keep your baby distracted long enough to get the job down with minimal fuss. Keeping active babies distracted while trying to change them is one of the most frustrating parts of nappy changes. 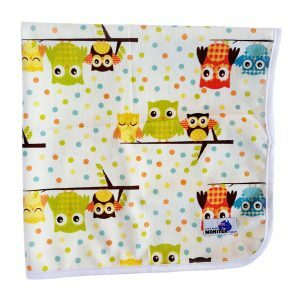 Using toys on the mat that are special for just nappy change time can help to make this process much easier. 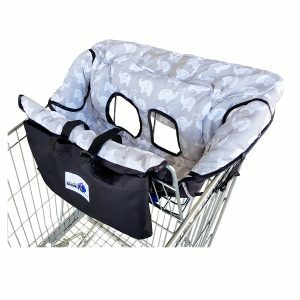 These 3 in 1 change mats are a great for babies who have medical conditions requiring feeding tubes or have a surgery site that needs to be kept free from little exploring hands. 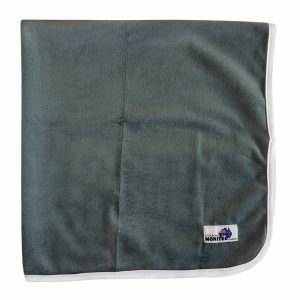 The mat is water resistant, to clean just wipe off with a damp cloth or wipe. 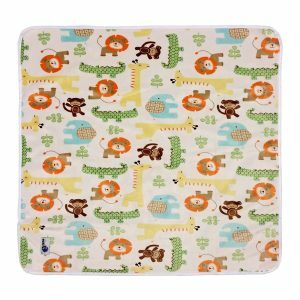 The mat can also be used as a play mat for bub to have tummy time at home or when out, just undo the velcro and lay the barrier flat for a larger play area. Or keep the barrier up and the toys attached to keep baby occupied and toys close by. 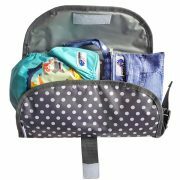 Store a spare nappy and wipes inside the folded mat to make carrying your changing essentials easier. 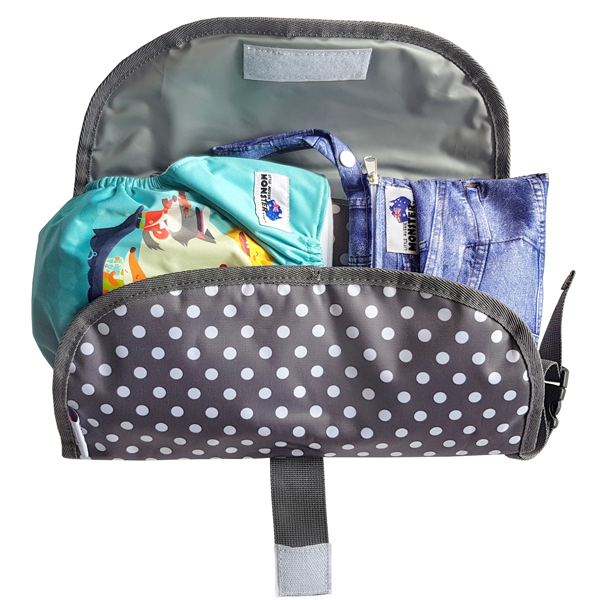 Place you spare nappy and wipes inside and fold up over to hold everything in place with the velcro strap. 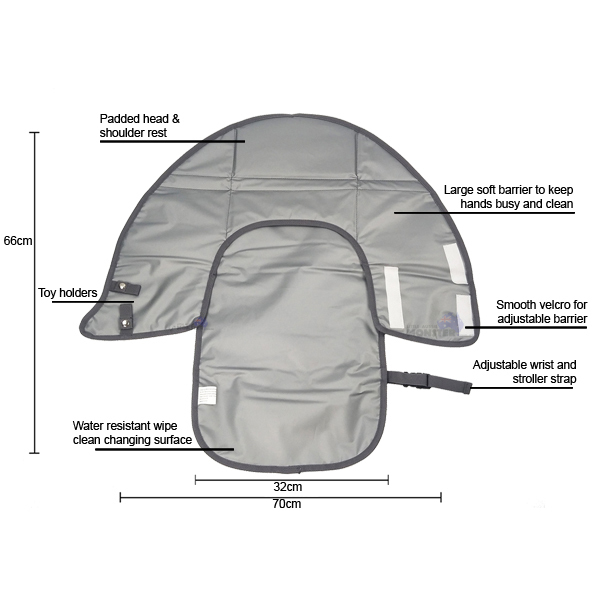 Will fit one cloth nappy and mini wet bag with wipes. 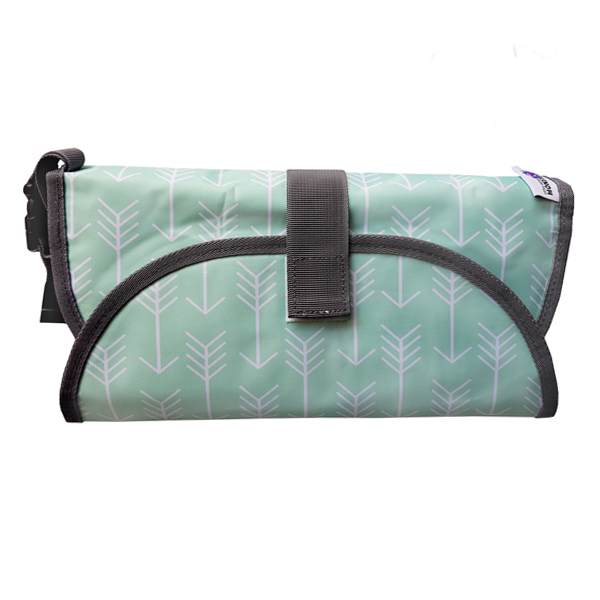 When folded into the wallet you can attach the mat to your nappy bag, pram or just carry it with the adjustable wrist strap.